Color: Dark Gray sidewalls with black frame. ALL-TERRAIN PERFORMANCE: Turn, pivot and detour to places you never thought you could. ULTIMATE CRAFTSMANSHIP: Aircraft grade aluminum, with a single-frame patented wall system. FROM 0 TO 5 AND BEYOND: All infants, toddlers and young kids are welcome. SAFETY IS STANDARD: Safety is built in. 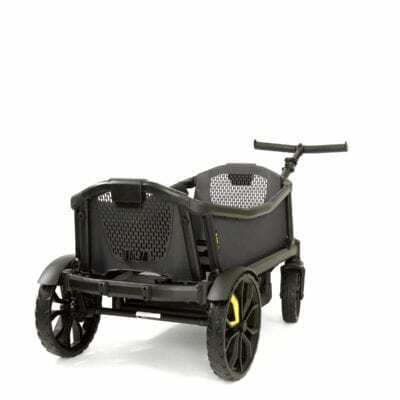 Veer Cruisers meet all ASTM stroller safety standards and are JPMA certified. 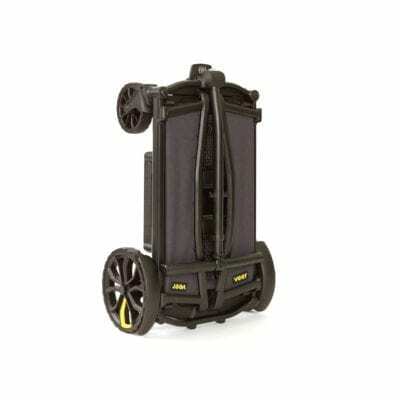 STOW & GO: Folds flat for easy transportation in small trunks and stands upright for storage. 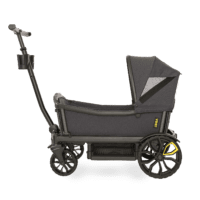 I have mixed emotions about the veer wagon, I really like it, and my toddler loves it since she no longer likes being on a stroller. It’s really nice everywhere we take it people want to know where we got it from and it seems like it will last for a long time. Some of the things I don’t like would be the price. And how everything is sold separately,how you have to take everything off to put away. 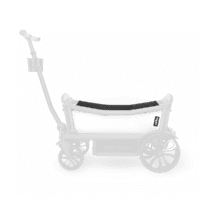 The steering is something that definitely takes some time to get used to, like other people said, you have to keep both hands on because otherwise the wagon will go everywhere, and the corners are something I’m still working on… it is a lot easier to pull. Wow! Is all I can say. It’s pricey but you definitely get your money’s worth! 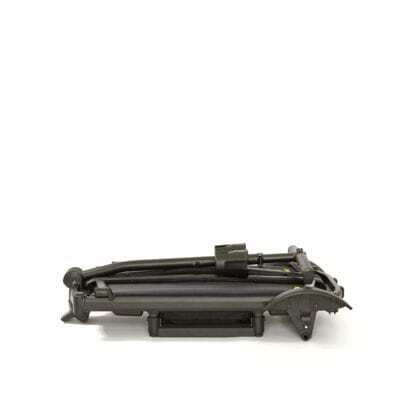 Very sturdy and reliable and so easy to collapse and use! We have bought all the accessories that are suggested for it and wow this is awesome! And not to mention it will last years!! Wish this would’ve come out earlier!! Update March 2019: I had to contact customer service because my parking brake stopped working. They asked for photos of the brake assembly, and once they saw them, offered to send me a whole new wagon. When it arrived, I shipped back the broken wagon with the box from the new one and a pre-paid shipping label. Veer even scheduled the FedEx pick up from my house. I really appreciate that they made it so easy for me. 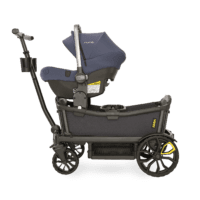 They stand behind their product!Original review: I hesitated to buy this wagon due to its price tag, but my 2 year old son was getting impatient in the stroller and I’m not ready to give up the stroller walks just yet. Nor do I want to drag a wagon behind me, so this was the best option. It steers and handles well, takes bumps nicely, and I can tell it is well made. The first time I used it my son kept bumping his head on the backrest so I did end up buying him the toddler insert. I also bought the storage bin, which has come in handy. I’ve taken this hiking with my son and my 5 year old nephew and they enjoyed riding in it, though after awhile were kicking each other for foot space. But, that’s to be expected. 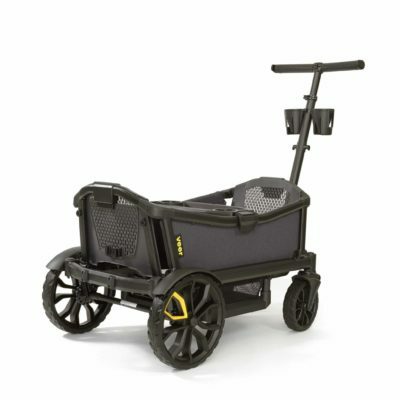 I’m now expecting baby #2 and this will function as our double stroller. Got this product in preparation for our new baby. 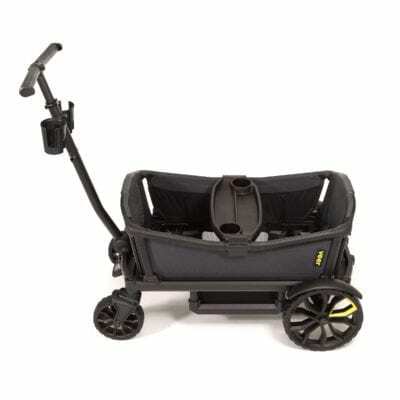 Our toddler is already loving it (calls it her princess wagon) and it’s so helpful on walks and trips to the zoo etc. So well made and totally worth the price. 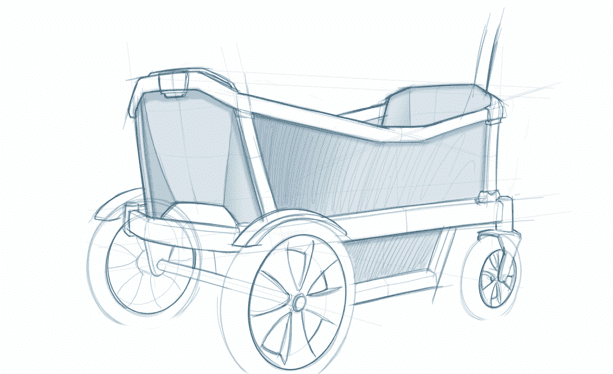 There are quite a few pros and cons about this wagon. We got this wagon for our trip to Disney. We have a 22 month old girl, and I was looking for a troller that could give her comfort at her naptime. According to some reviews, some people have taken it to Disney with no problem. Had no issue in any of the parks except for Magic Kingdom. A lady at the entrance gave me attitude because she wasn’t understanding that the veer cruiser is a hybrid. She kept on saying it was a trip hazard. She said I could rent a stroller free of charge since mine was not allowed. I was already very upset with her attitude ignored her comment and went into the park. All the rest of the employees at the park thought was the coolest thing ever, plus I saw other wagons in there too. So yes, you can use it at Disney Parks.We bought all the accessories. The basket makes the wagon really long and somewhat hard to navigate in a park full of people like Magic Kingdom. The option of the bed is really nice, the only inconvinience is to carry it on the side. 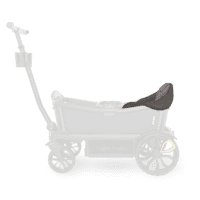 Yes, you can attach it to the wagon, but you have to remove it if you have to fold the wagon. Same with the canopy. Going from point A to point B is a real hassle. Since nothing can stay attached, except for the basket. But even then, you still have to take either everything, or most of the stuff out of the basket. So I was taking care of our daughter, pillow, bag of snacks, and bag with bed, while my husband had the veer cruiser and the canopy. Once you are at the park it is nice and convenient because you can set up everything where it is supposed to go. And it does work for naps. The veer cruiser is a little on the heavy side. air folds, although it still occupies some space. Not so easy to take it in a shuttle or bus, specially if a bunch of people are hurrying you up. By the way, I got the cover for the flight, even with it, a little piece from the handlebar got damaged. Not quite sure how that happened, probably poot handling. Overall, it is a great product. 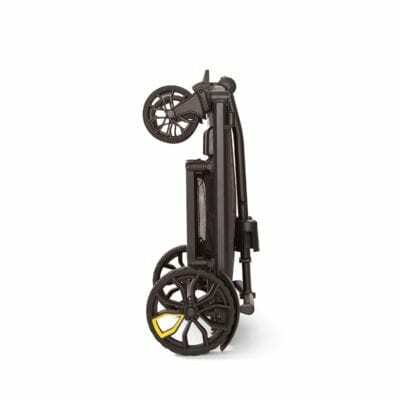 It is heavy duty, and received a lot of compliments. Although I still believe there is room for improvement.Their customer service is amazing. I sent an email to the company about the broken piece, and wondering if they had a replacement for it. They immediately responded my email and followed up promptly. I got a replacement sent to my house after a couple of weeks. I am amazed with their customer service. The only negative I could find about this product was the packaging. Had to virtually destroy it to get into it, but that is literally the only slightly negative to this truly wonderful product. Certainly not enough to downgrade it to 4 star.Once I had removed it from the packaging and started to assemble it the first impression is how well built it is; being an engineer I could appreciate how much time and effort had gone in to this product. Everything just fit together perfectly. The next thing is how solid it is. This does mean the product is a little on the heavy side but its built to last. Which is one of the reasons I forked out what seems like a lot of money for a pull along wagon, but considering I’m expecting to get at least 4 or 5 years out of this, I think the price is well justified. 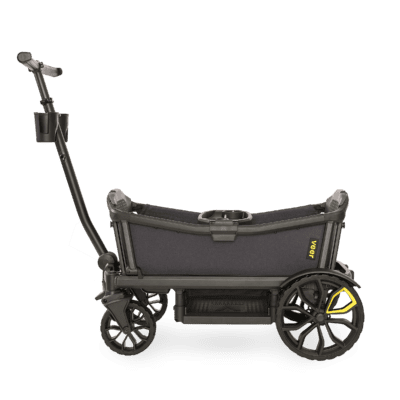 Love the way it all folds down to making it comfortably fit into the boot of my car.We took this for its first proper outing to Houston zoo at the weekend and it was great, so much better than when we had gone previously with the stroller. We purchased the canopy and storage unit separately which in my opinion are essential items. My son loved it and had no complaints all day. And the amount of comments we had was unbelievable. One woman said it was the Rolls Royce of wagon’s which about sums up the product.I can’t recommend this enough. I know the price will put a lot of people off but if you have the chance to see one in the flesh you will realize why it costs what it does. Ordered for DIL and g’son with another on the way! They loved it! The grandson is always on the go but he really liked riding in the wagon. His Mom said it was the ‘Best’. Happy customers! Warranty Best in class 2 years. 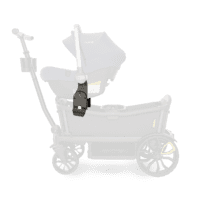 Passenger Weight Capacity each seat is suitable for up to 55 lbs and 45 in. Will the tires need to be filled with air? Our tires are made of 100% polyurethane so they are long lasting, rugged, do not require air and are lightweight. What is the height of the Cruiser handle bar? The telescoping handle bar is adjustable in length and height. The maximum length of the handle bar when fully extended is 31″. From floor to handle bar, that would be a 41.25″ height when the handle is locked upright for push mode. It is great for tall moms and dads! We stand behind every cruiser we make and sell at goveer.com or an authorized Veer Retailer. When you purchase your Veer Cruiser from an authorized retailer or goveer.com (Please note that Cruisers sold on Ebay are NOT sold by authorized dealers and WILL NOT be covered by the warranty. Veer Cruisers is the only authorized seller on Amazon.) your Veer Cruiser is warranted to be free from any manufacturing defects for a period of 2 years from the date of purchase under normal use and in compliance with the operating instructions. You will receive an additional 1- year on your warranty (for a total of 3 years) when you register your Veer Cruiser. See warranty page for full details. You can register your Cruiser by completing and mailing the Registration Card that was included in the Explorer Handbook inside the Cruiser box, or you can register online. If you have any questions about authorized retailers, please contact us at behappy@goveer.com. How should I clean my Cruiser after beach use? We like to remind beach loving families about the following cleaning recommendations to remove salt water and sand. While the Cruiser is made for getting dirty, good cleaning and maintenance will keep it operating smoothly. – Hosing down Cruiser is recommended after use. Remove the accessories and wheels before you hose with fresh water. Let it the Cruiser and Wheels completely air dry before reassembly. – Use a soft brush to gently brush sand from Cruiser parts and cycle the components until the sand is ejected and the components cycle freely. – Use of compressed air while pushing brake pins in and out with your finger (they are spring loaded) will help to eject any sand that may be in brake pin housing. (The brake pin is located where the big rear wheels insert). A dry silicon-based lube can be used. DO NOT use WD40. – Pressing the front swivel wheel release button with the wheels removed will help eject sand that may get caught in the housing. A retractable sun canopy for each seated passenger is available separately. 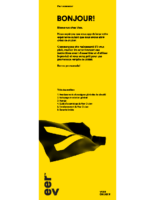 Sun canopies are available in our accessories section. Do you make an insect shield? 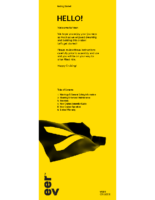 An insect shield is available for use with the Napper and can be zipped on to a sun canopy. These accessories are available in the accessories store. Yes, the toddler seat is designed to provide extra support for babies that no longer sit in an infant car seat. 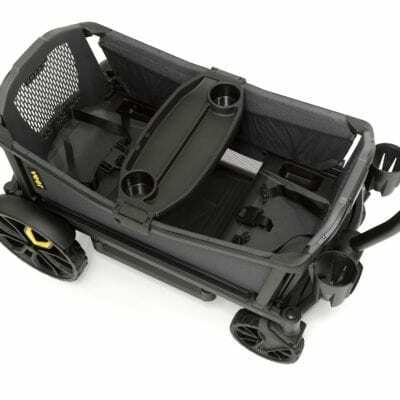 It is designed for passengers in the 6 -18 month stage. The Toddler Seat is available in our accessories shop. The Veer Cruiser comes equipped with 2 Cup Holders (up to 6 can attach) and a Snack & Drink Tray. Many other accessories are available to customize your ride. Visit the accessories shop for the entire collection. Can the Veer Cruiser be used for in home sleeping? The Veer Cruiser and Nap System is not intended for overnight sleeping. Can I jog or run with the Veer Cruiser? 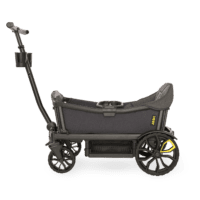 Although the Veer Cruiser is very versatile, it was not designed for jogging or running like some other specific jogging strollers. Can I buy Veer Cruisers and Accessories on Ebay? 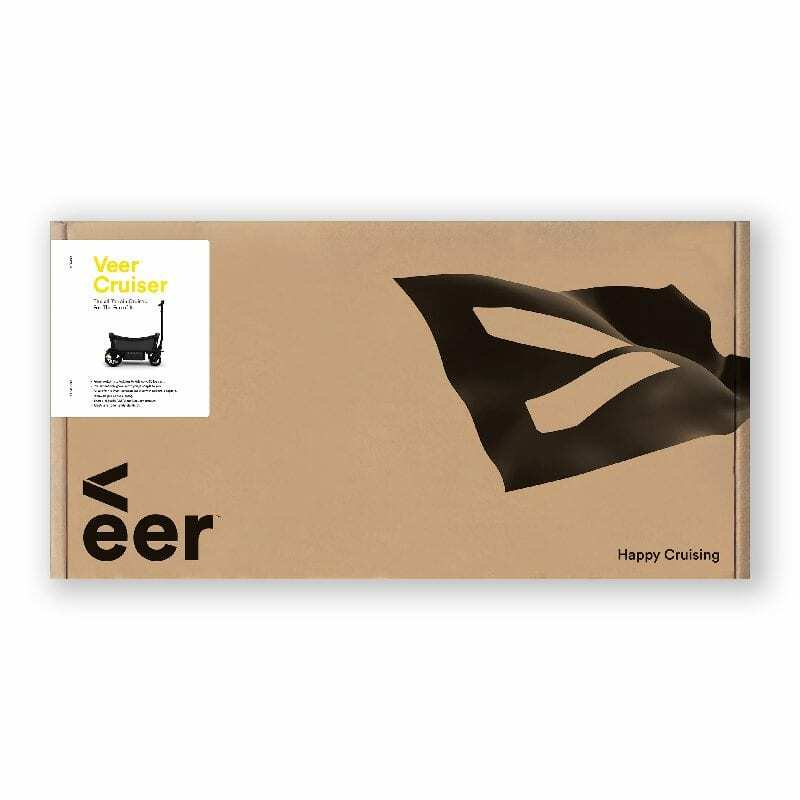 Veer Cruisers and Accessories sold on Ebay are not sold by Authorized Veer Retailers. These products will not be covered by the Limited Warranty. If you have questions about Authorized Retailers, please contact us at behappy@goveer.com.